DO POOR IT SYSTEMS HAVE YOUR BUSINESS IN A KNOT? Our computer solutions can untangle you. Systems which store sensitive medical data are potential targets for cybercriminals, just like those storing credit card and billing information. These systems must meet certain minimum standards to ensure confidentiality of patient information, and they also must be periodically analyzed for risk factors. On top of that, any computer using the internet is susceptible to hordes of trojan and malware programs that slow down performance across the network. Typically, these issues are beyond the scope of an office manager’s skillset, but often times offices smaller than 10 or 15 employees have no need for dedicated IT support. Our contracted approach makes sure you pay for the support you need when you need it, and keeps your operating cost to a minimum when you don’t. Our service technicians are studied in the US Department of Health and Human Services definitions for HIPPA compliance. As such we are prepared to consult your practice on the “minimum necessary” provisions, and make corrections to Privacy Rule oversights. We can implement monitoring and reporting tools into your system, and, depending on the scope and level of involvement, we can mitigate security breaches in real-time. Hosting email in-house and using voice-over IP technology in your telephony systems are two ways you can save big on practice overhead. 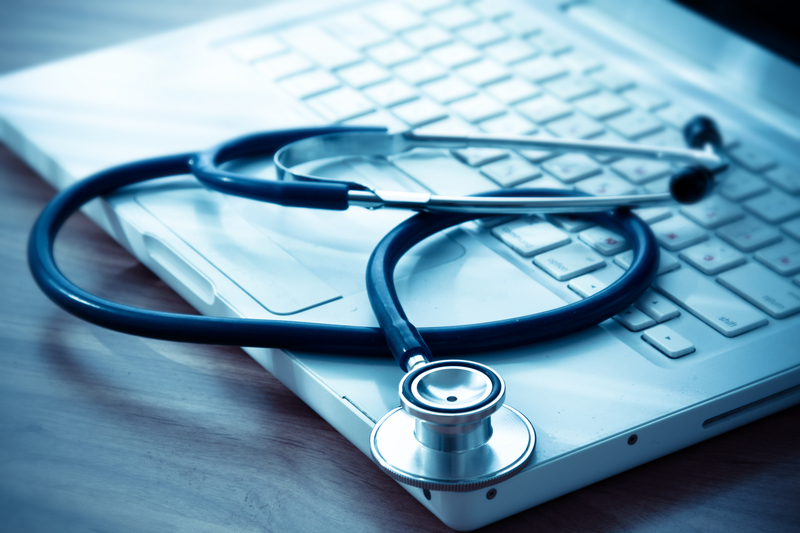 Not only that, it can help keep doctors, nurses, technologists, and office assistants in touch anywhere with webmail access and call-forwarding functionality. Login and file servers are effective tools in boosting productivity. Allocating each employee a unique user ID grants access from any approved terminal in the network, and also offers file permission and internet restriction capabilities to fine-tune the experience desired by office administrators. It is estimated that one-third of doctors in practice today have used tablet PC’s in their workplace. This trend is enabled by the rapid proliferation of Electronic Health Records software compatible with touchscreen devices to review patient’s history and make informed diagnoses. In fact, hospitals replacing 1 computer-on-wheels system for 3 Apple iPads results in savings of nearly $6000. Another favorite technology of modern medical professionals is automated dictation transcription. Save serious time by letting software like Dragon Naturally Speaking convert your voice recording directly to text which needs only minimal review. You may have heard by now that Windows XP is no longer a candidate for security updates from Microsoft. While your antivirus provider may still support these systems, these systems have become by definition insecure, posing a risk not only to sensitive data on that workstation, but to all other systems on the same network as well. We understand the cost of refreshing technology as it goes out of service is a serious imposition, and many applications used today are still built for compatibility with these legacy systems. Our consultants can work with you to navigate the most cost-effective avenue available for re-establishing compliance and receiving the Meaningful Use Incentives you deserve.